The 4-5-person CRYOGENIC CHAMBER fuelled by liquid nitrogen and composed of a chilled preliminary chamber and main chamber. This CRYOGENIC CHAMBER received Europeen Medical Certification. 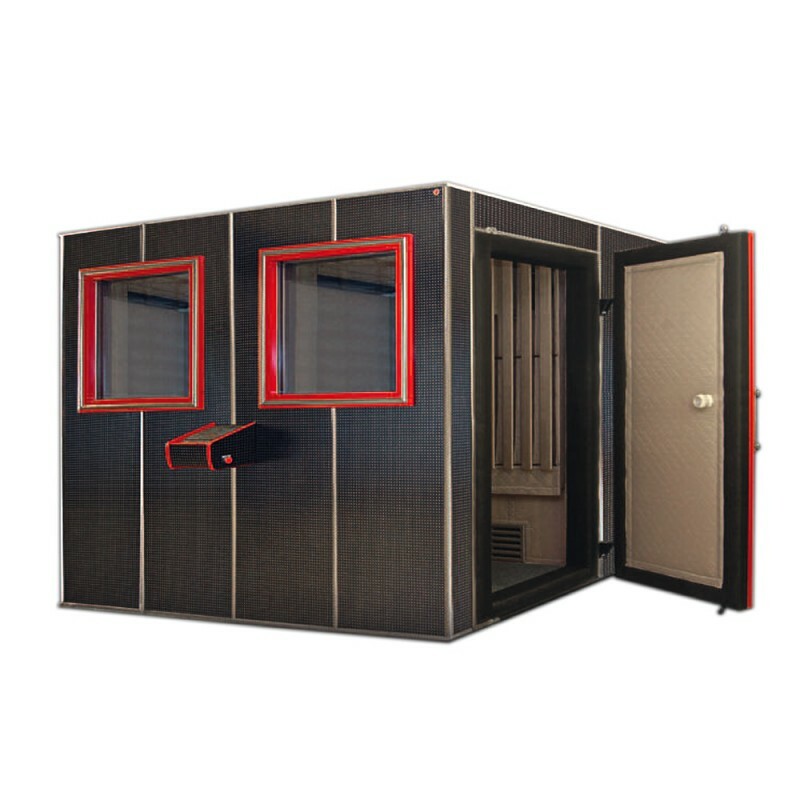 The cryogenic chamber has been designed based on experience gained in the production and use of the single cryogenic cabins for whole body cryotherapy – so called Cryosaunas, many proven solutions and much experience is applied to this design. The cold source of the cryogenic chamber is liquid nitrogen supplied from an external cryogenic pressure vessel. 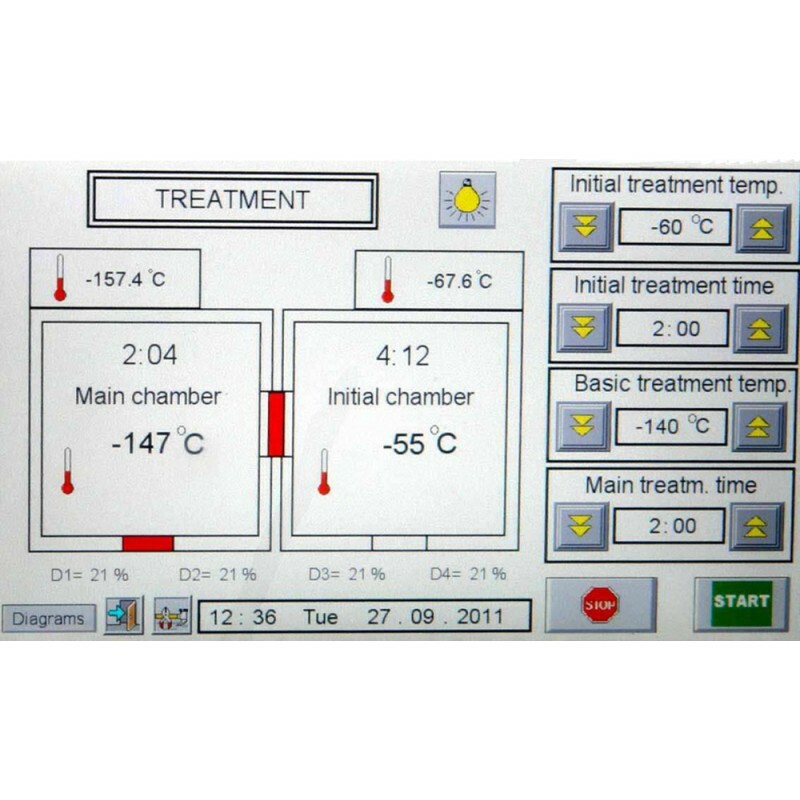 The applied chilling system and control system allow the setting and maintaining of the required therapy temperatures in the range of -100 down to -140 °C in the main chamber, whereas in the preliminary chamber temperatures are in the range of -40 down to -60 °C. 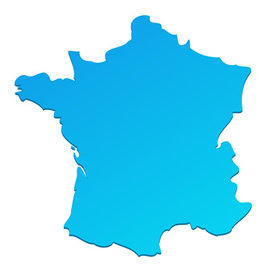 The treatment time is also regulated in the range of 1 up to 3 minutes. 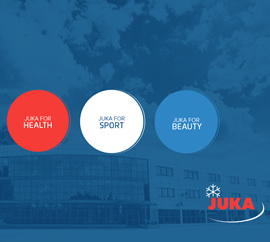 It is possible to individually set the temperature and treatment time of each group of patients. Patients having treatment enter the cryogenic chamber dressed in bathing costume /cotton is best/, warm cotton slippers and gloves, covering for the head and appropriate mask /these items are not included in this offer/. Initially they enter the preliminary chamber and when the set time has past they enter the main chamber. 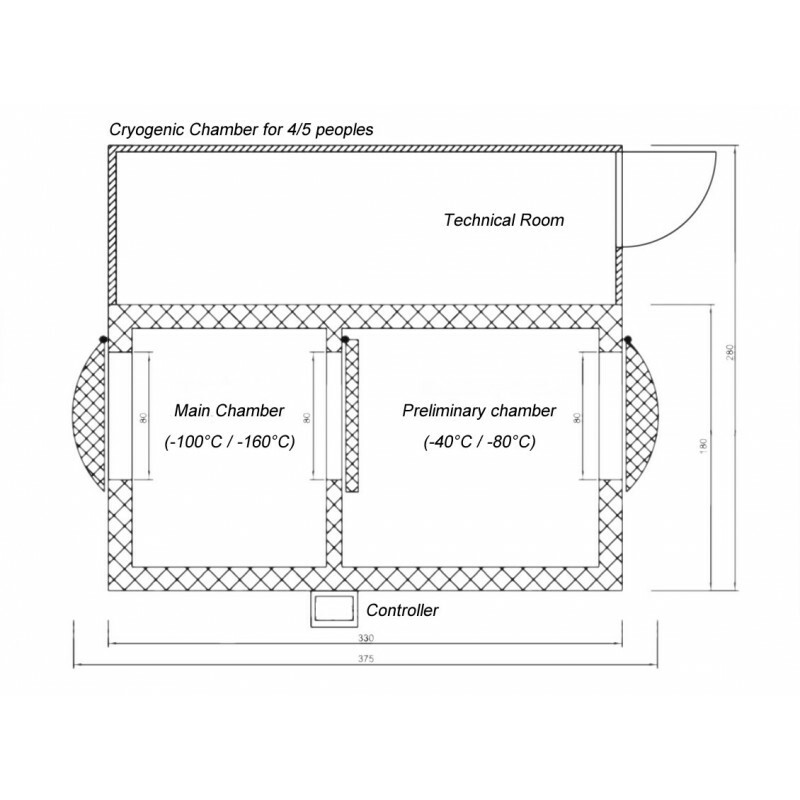 The 4-5 seat cryogenic chamber should be installed in a room of not less then L x B x H = 5,5 x 4,5 x 2.8 m.
A supply of electricity: 230V/50 Hz of power 4.0 kW /with a 16A fused plug/, is necessary for connection to the technical cell of the cryogenic chamber. It is recommended that the cryogenic chamber be placed in a separate room with no uncontrolled access by „third” persons. Only the operator and patients may be in this room. The room should be sed for no other purpose. There should be no pools, hydro massage equipment or any equipment significantly increasing dampness in the room directly adjacent to cryogenic chamber. 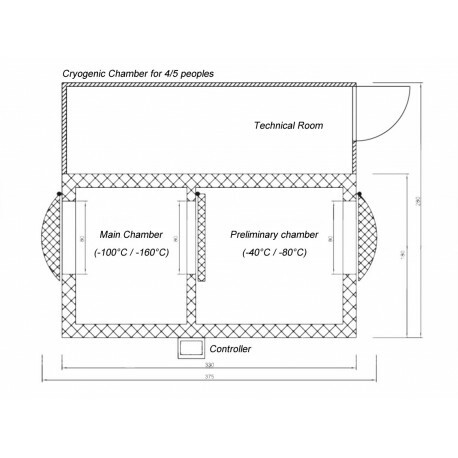 There should be a drain to the mains drainage from the floor of the room where the cryogenic chamber will be installed, under where the technical cell will be. 6 room volume air changes daily. The cold source of the cryogenic chamber is the liquid nitrogen supplied from the exterior cryogenic pressure vessel. There are available cryogenic vessels of various sizes and capacities on the market, the choice depends mainly on the number of session provided /use of gas/. The lease costs of cryogenics tank and the unit price of liquid nitrogen is negotiated individually. /*/ cryogenic connection installation to external vessel not included.